With such unfeasible expectations resting on the presenter’s shoulders, it’s fair to say that the first series of Clarkson, Hammond and May’s new Amazon show, The Grand Tour, has been guilty of trying too hard to replicate the success of old Top Gear – ironically, a mistake that was also made by this year’s ill-fated Top Gear reboot. While there have been glimpses of the old magic, recent episodes of the show stumbled thanks to a series of segments that were clearly intended to create controversy. Things improved, last week, however because the show went back to basics by making the cars the stars. Exotic location and obligatory bickering aside, the Morocco road trip was an entertaining and down to earth review of three sports cars. Throw in a silly, but amusing game of car battleships, which was really just an excuse just to smash up some G-Wizes, and you had a solid episode that showed the series’ potential. This week’s Ford-centric Christmas episode was even better. 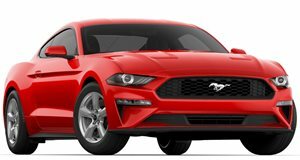 America takes the Mustang for granted, but it’s a big deal in the UK because it launched for the first time in over 50 years, much to the delight of an excitable Hammond. The Mustang was introduced to the country in a guided tour of London, but it was all a set up for a sly dig at Top Gear. Hammond respectfully cruised past the Cenotaph, an obvious reference to when Top Gear was criticized for doing donuts around it. 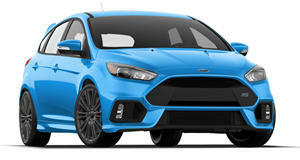 Unsurprisingly, Clarkson showed up in a Focus RS and a battle ensued, leading to a well-staged cinematic car chase. The formula of one presenter "unexpectedly" turning up is getting old, though, and it’s a shame we didn’t get to see any more comparisons between the cars other than a brief drag race and some lap times set by The American racing driver who is still as cringe-worthy as ever. This week’s episode also continued the tradition of Top Gear’s Christmas gift guide for car enthusiasts, and it didn’t disappoint – even if watching Clarkson sliding a condom down a rolling pin etched with the words “how hard can it be?” isn’t a sight we will forget in a hurry. The final segment, however, was by far the best film of the series so far and possibly ranks as one of the best the team has ever done, right up there with Clarkson’s heartfelt tribute to the late Senna in Top Gear. James May retold the story of the rivalry between Ford and Ferrari at the 24 Hours of Le Mans in the 1960s which led to the inception of the legendary GT40. It was easily the most insightful and professional piece to come out of The Grand Tour, which made it riveting to watch. It was like watching a mini-documentary, featuring interviews with people that were originally involved, archive footage and May test driving the vintage GT40 and P3 (each worth several million dollars) with surprising ferocity and infectious enthusiasm. This episode proved that The Grand Tour can work without all the gimmicks. Hopefully it’s a sign of things to come for the remaining six episodes of the series.